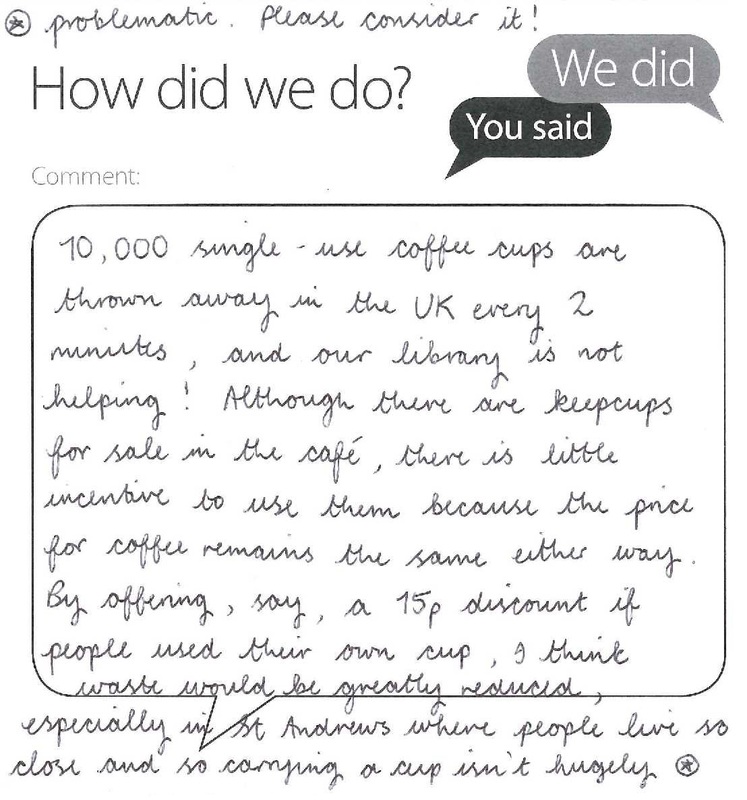 I appreciate you taking the time to make a constructive suggestion about the promotion of reusable coffee cups – I have passed it on to the colleague in Residential and Business Services responsible for running the Library café. However I can confirm that you do (or should) currently get a 10p discount on the price of a coffee by using a keepcup! Please do not hesitate to get back in touch if I can be of any further assistance.